Janae and Alex have such a pure and genuine love for one another and I was so thankful that I got to be a part of their backyard wedding in Yakima. Janae and Alex live in Seattle but, rather than have an over the top wedding in Seattle they found that a backyard wedding in Yakima was more their style. Their wedding was filled with simplicity and elegance from their invitations all the way to the handmade pies they themselves made from fresh apples in the valley. 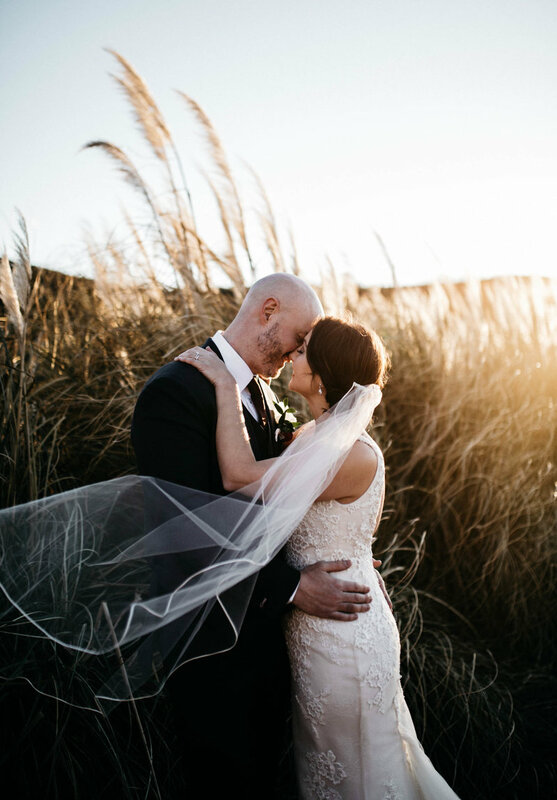 Janae and Alex decided to not see one another before their ceremony, but did briefly connect without seeing one another before it was time to walk down the aisle. These are some of my favorite moments and highly suggest that if you are not going to see one another before the ceremony, then find a way to connect without spoiling the first look. Both of them chose to exchange their vows in a beautiful church located in downtown Yakima, which was followed by a reception located at Janae’s home. Janae did a fantastic job of curating a very romantic reception space from scratch. One of my favorite reception details was the head table. Not because of what was on it or how they decorated around it (which was awesome in itself), but because they chose to have their immediate family next to them. I thought this was by far the coolest thing I have seen at a reception and definitely put the emphasis on what family meant to them. Please enjoy a handful of photos from their backyard wedding in Yakima, WA.